While Hollywood stars are known for sporting perfect pearly whites, everyone from soccer moms and socialites to retirees are smiling bigger and brighter thanks to this miraculous cosmetic dental procedure. From correcting discoloration to closing in gaps, this thin porcelain or resin composite material is shaped and placed over the front of your teeth to give you that bright, perfect smile you’ve always dreamed of. 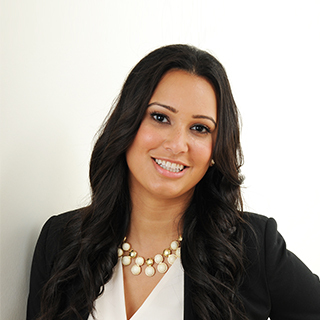 Unlike crowns, your natural teeth remain largely intact with only a minimal amount altered to fit the veneer. 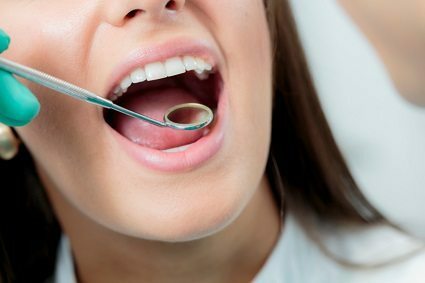 A root canal or endodontic treatment becomes necessary when the root of the tooth becomes abscessed or infected. In the past, this meant an extraction. Either you ended up with a gap in your mouth that could lead to jaw problems, or, depending on your budget, you got an artificial tooth. Today, dentists strive to ensure their patients retain their teeth because it’s been proven that by keeping all your teeth, you’ll live a longer and happier life. 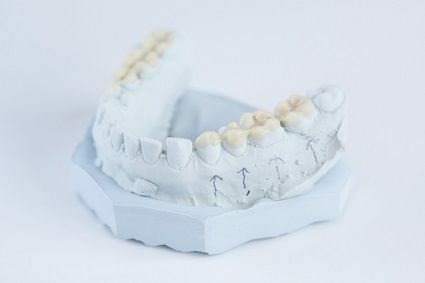 Porcelain dental veneers are ultra-thin prosthetics that are placed on the front surfaces of teeth, in order to cover stains or structural defects. They offer numerous benefits compared to other dental treatments, such as crowns or tooth whitening, in a variety of situations. There are many reasons to get porcelain dental veneers. This simple and minimally invasive dental treatment can improve the appearance of your smile in the following cases as well as many others. If you are currently unhappy with the appearance of your smile, you might be interested in using Invisalign to improve it. Unlike traditional metal braces, Invisalign aligners are nearly invisible, so few, if any, people can tell that you are wearing them. Most people are good candidates for this teeth-straightening option, and they are quite happy with the results. 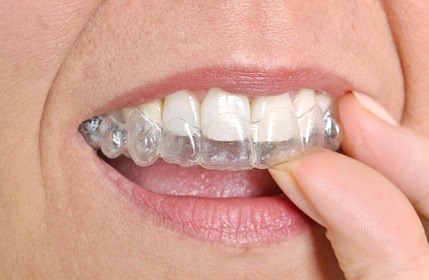 Here’s a look at Invisalign and the dental issues that it resolves almost effortlessly. There are lots of dreadful stories that come from people who have had root canals. They are not the most pleasant things in the world. Believe me, I think everyone would rather be sitting on a sandy beach with the sun shining on them rather than sitting in a dentist chair with that big bright light shining on them instead. Before getting a root canal, I’m sure there will be many questions that will pop in to your head that you will want to know the answers to. 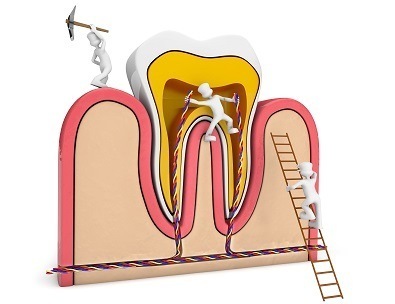 Such as, what exactly is a root canal? What are the steps in the procedure? Will it hurt? How long will it take? Let me answer all of those questions for you! 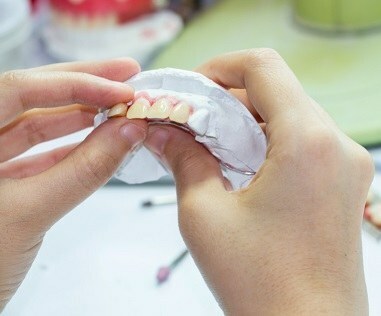 At first though, you might think every dental clinic is the same and that the closest one to you will get the job done. Well, not so fast! Think about this for a second – you’re deciding on a team to trust for your dental health. And this isn’t just your dental health – it’s yours and your family’s. So there’s a fair amount at stake here and I think you deserve the best in a dental clinic. Going to the dentist can seem pretty scary, particularly for children. Sometimes it may seem like there’s no way to break that fear. There are some things you can do to ease your child out of that distress and have them looking forward to their next visit to the dentist. It’s not always easy to find the right dentist. While some may boast of the wonderful dental practice they’ve been going to for years, others are still out there looking for ‘the one’ to help make their smile a little brighter. Perhaps you had a great dentist, but they’ve recently retired – or maybe you’ve moved into a new neighbourhood so it’s time to find someone new? Whatever your reason, there are a combination of factors that should come into play when choosing a new dentist for yourself and your family. 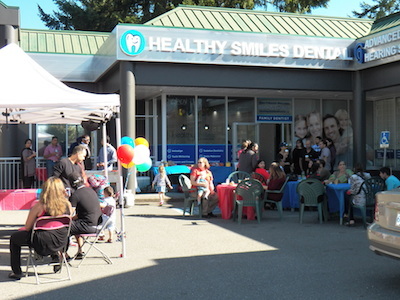 Healthy Smiles Family Dentistry Grand Opening! We would like to thank everyone who came out to our Grand Opening on September 28th, 2014.